Clichés are so cliché (read in Torrance Shipman voice). 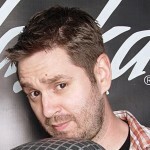 Clichés are for the lazy, yet seem to propel most of what we hear on the radio these days. Specifically, it feels like most female leads all gravitate to the same diluted, uninspiring matte sound that works well enough for the angst-filled teen/early twenty-something. But what about those who don’t find the Taylor Swifts, Ariana Grandes, and Meghan Trainors all too inspiring these days? Look north dear friends. Look north. Permeating from Waterdown, Ontario, Canada is nothing short of (forgive the cliché) the real deal. 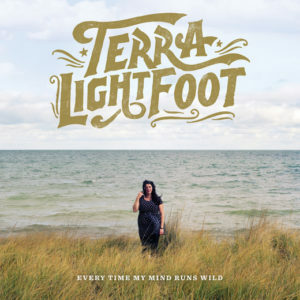 While I hate to appear superficially run-of-the-mill in my description of Terra Lightfoot, I can’t think of a sound that more defines or deserves that title. Releasing Every Time My Mind Runs Wild, the Canadian singer/songwriter embodies a captivatingly classic style that walks a line of country, rock, and folk but exudes it in a refreshingly artistic sound. Drawing on influences from the likes of Leadbelly and T. Rex, Lightfoot is undeniably bluesy with in licks but, to steal her song title, “All Alone” when it comes to sound. Spending just a short time with these eleven tracks is sure to create fan out of most, regardless the tastes. From the driving simplicity of the aforementioned opener, to her insatiably addicting “No Hurry,” through the romantic strumming of “NFB” (which paints a beautiful reference incorporating the film Last Action Hero) each song becomes a tale of emotion paired nicely with an equally drawing composition. But don’t begin to believe Terra Lightfoot is just another female singer looking to cash in on the gravy train of misunderstood rich girls across the world. No, she is vastly original (with the exception of tying to the stream of heartbreak through almost every song) in a way I haven’t personally felt since I heard Patsy Cline for the first time. Lightfoot only fits a cliché when I say she is the real deal. In the truest sense of that phrase. Outside of that, she is paving a road to a strong career filled with songwriting talents the world didn’t know it needed; until now. This entry was posted in Reviews and tagged Canada, Every Time My Mind Runs Wild, Folk, Guitar, Ontario, Patsy Cline, review, singer, songwriter, Terra Lightfoot by Greg. Bookmark the permalink.